Looking for something traditional for Christmas? 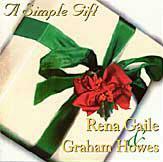 Order my CD 'A Simple Gift' - a relaxing collection of piano and voice with my unique arrangements of some Christmas favourites. Perfect for that night by the warm fire, a good glass of red wine. Enjoy 14 classic Christmas songs done in a more traditional way. 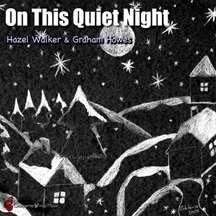 What you'll hear is classic piano stylings with the distinctive vocals of Rena Gaile & Graham Howes. 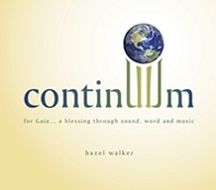 Continuum • Recorded as a blessing for Mother Earth and a sonic exploration of her evolution, Continuum also expresses the personal journey of the vocalist and offers the listener an opportunity to access their own ancestry and dream the new world community into being. Dive deeply into your interior realm of wisdom, wealth and wildness. Allow yourself to be wrapped inside a blanket of instrumental and vocal sounds that will accompany you through encounters with stillness, sorrow, delight and bliss. Gary Diggins: didgeridoo, hang, ngoni, native flute, water harp, ashiko drum, tongue drum, gong, Tibetan bowls, shakers, percussive toys, and vocals on New Humanity.